Dwayne “The John” Rockson followed up their last UKDota.net Cup win with a repeat performance in the GAMDIAS UKDota.net Spring Open, beating challengers ForLove.int in the Grand Final to take home the first prize of £125. Dwayne, who saw off ForLove.int with a score of 2-0 in the Grand Final, made full use of their Upper Bracket advantage to take the series, needing only one game to clinch victory without letting FL have a chance to establish themselves in the match-up. The Grand Final was a repeat of the Upper Bracket Final, where some exceptional Dagon Shadow Fiend play was enough to win the day for Dwayne, as well as rubbing salt in FL's wounds. An honorable mention must also go to Thom + 4 for providing us with some excellent games, including a match against Holla Holla Get DAT DOLLA which will surely go down as one of the longest games in UK Dota history coming close to the SdS v Karnage at Insomnia LAN, however they were unable to get the better of ForLove.int in either the Upper or the Lower Brackets and eventually bowed out in the Lower Bracket Final in third place. Thanks again to Joe ‘JoeShow’ Styrka and Gareth ‘durka’ Bateson, for their excellent casting and dodgy music taste and as always our partners, Multiplay, for the stream support. 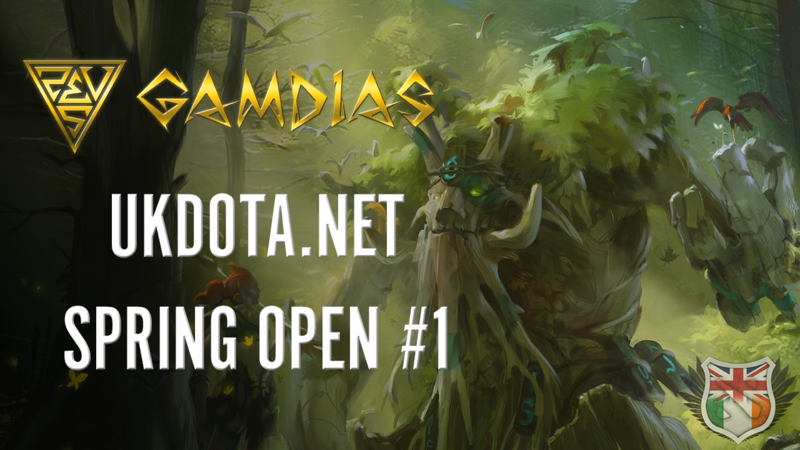 Thanks are also due to everyone from UKDota.net who helped administer the tournament and last, but not least, to GAMDIAS for their support and for sponsoring the cash prize for our winners. Announcements about our next tournament will be made very soon! Vods can be found here and here.